Debby Goes Shabby shared her magazine challenge with this beauty, she calls Enchanted Moments I LOVE this dresser!! And, who wouldn't want a top drawer full of red roses?!! Come on! 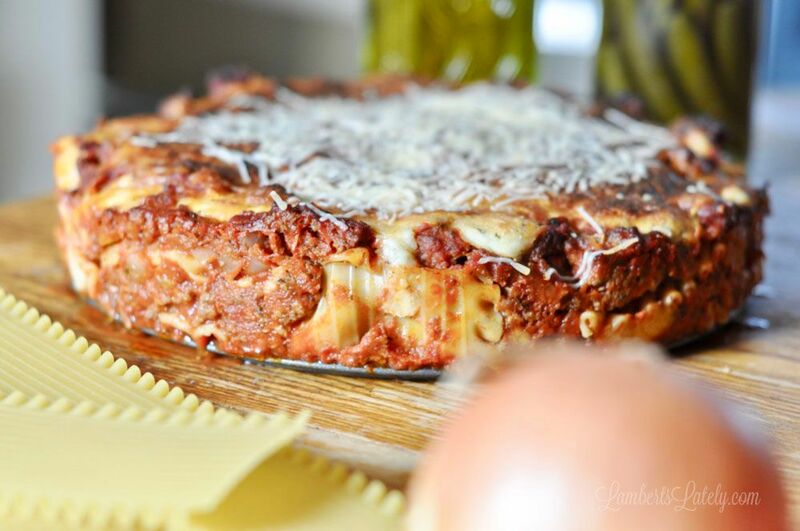 Lamberts Lately shared her yummy and different Perfect Baked Lasagna Looks delicious! Sweet Inspirations by JP Designs shared her beautiful post, and would have to agree, "I Think I Have Spring Fever" Who wouldn't with all this beautiful Inspiration?!! Just look at this beautiful Hung Wall Mural from Heart and Handmade UK! Awesome video 'How-to' that I just loved! All that Jas shared her Yummy recipe for these perfect Scalloped Potatoes. I am so going to try her recipe! 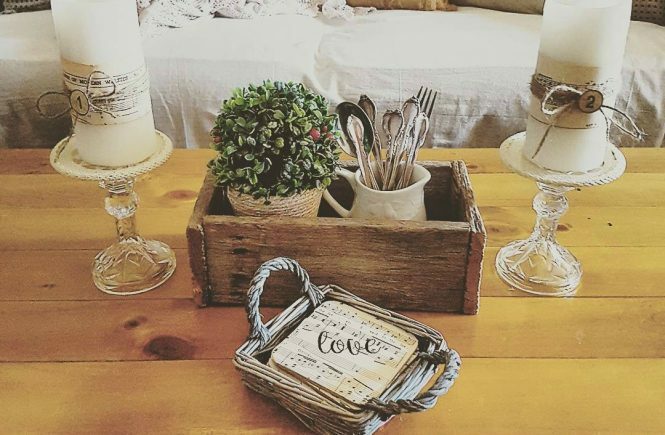 Raggedy Bits did it again with her adorable DIY Repurposed Vintage Farmhouse Candle Holders These turned out just perfect, who would have thought of this?! 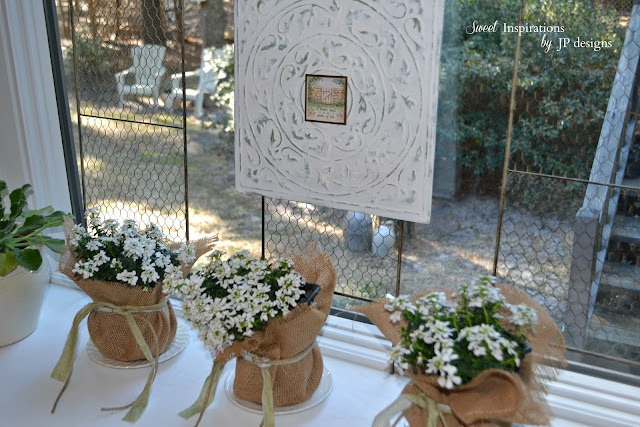 Penny's Vintage Home shared this very different and very beautiful Farmhouse Spring Wreath Not to mention, all her beautiful accents to fo with it! 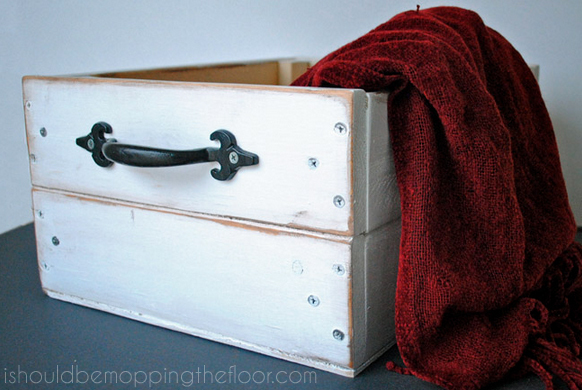 I Should Be Mopping the Floor shared her very cute and useful DIY Crate Tutorial Simple Cheap and Easy! It's all my favorite things! What a nice surprise to see my Farmhouse wreath included in your features this week...thank you! My pleasure!! Loved it, Penny. I am thrilled you've included my scalloped potatoes in your features! Thank you so very much! Of course!! I can't wait to try your recipe! Oh, Leanna, I'm so pleased. Thank you, Monika. So glad you joined us. I'm tickled pink that you featured my post this week...every single one that you featured is fantastic! Have a beautiful weekend and thanks for hosting! Oh, I'm so glad JP! What wonderfully kind words. Thank you for the feature, I loved doing this challenge. All the features are beautiful and full of inspiration! Thanks for hosting this fantastic party. Oh, Debby, I LOVED it!! You are quite talented, my friend. Thanks for What To Do Weekends 214. Appreciated.